Squinty Portdaddia imposter beckons the unwary to pick delicious fruit. Cherry picking. Who doesn't love it? This is my favorite way of making an argument. I like to point to evidence that superficially confirms my position while blatantly ignoring any significant truth that might contradict it. 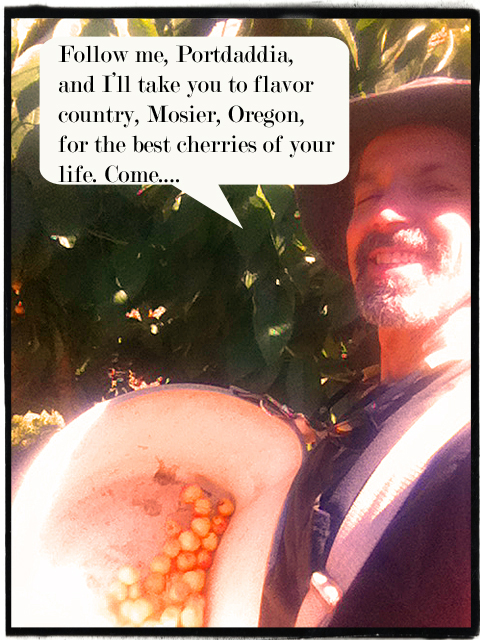 Then in the summer, I actually pick cherries, which makes the practice acceptable during the rest of the year. And yes I can live with myself just fine.